THE FALSE JESUS: ARE YOU WORSHIPPING HIM? HERE IS THE PATTERN. Those who came to know Jesus Christ through the organized church have come to know the Jesus of their understanding, embraced him, fallen in love with his sacrifice, his death, his goodness, his mercy, his peace, his power to heal etc. They become devoted followers of the Jesus of their understanding. And because of their commitment and devotion, they are attacked and abused by other followers of this same Jesus who are hypocrites. This attack has a deceptive intent and outcome, in that the devoted ones believe themselves to be more saved than the hypocrites. However, without an understanding of the Lord’s resurrection, neither the devoted believer nor the hypocrite is truly saved. The expression “He rose from the dead” just becomes more meaningless verbage,–a lifeless “tag on” to the cross. In spite of the fact that the devoted followers are initially deceived by the attack they receive from the hands of professing “Christians” , the Lord uses the attack to His advantage by calling out those that He has chosen from the beginning of time to be genuinely saved. Therefore, He allows the demon to torment His called out ones, who have been entrapped and confused by believing on the imposter. The attack warns the deceived ones that “something is wrong.” Nine times out of 10, what is wrong is that the deceived have been unknowingly believing in a unresurrected imposter who calls himself “Jesus Christ.” . 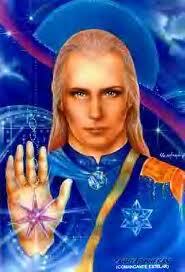 To find out who Sananda says that he is, I have reviewed the writing of several “channels.” It was an arduous task. Overall, it seems that Sananda’s mission and purpose is the unification of all world religions, spiritual paths, schools of thought, in other words the formation of Mystery Babylon. Sananda needs ministers to provide him with opportunities to “do his job.” So you need to examine yourself and determine which Jesus you have been worshipping and serving. Here is the test as to if the false Jesus is IN your life. : 1. Are you preaching universal, unconditional love and acceptance? 2. Do you hear little to nothing about sin, repentance and the cross? 3. Have you been sitting under preaching that is emphasizing YOU finding your divine destiny? 4. Have you been sitting under preaching about “taking the kingdom for Christ” ie. dominion teaching? 5. Have you ever been slain in the spirit? 6. Do you have “a prayer language” that you yourself do not understand? 7. Are you striving for complete unity of all faiths in Christ? There is more, but if you believe in Jesus Christ of Nazareth, the Only begotten Son of God, and can answer “yes” to even one of these 7 questions, you may be in serious trouble. The Fake Jesus: Fallen Angels Among Us. I highly recommend that you watch a 3 part video on Counterfeit Births. Another interesting read and eye opener. Thanks. Generally I do not read article on blogs, however I wish to say that this write-up very compelled me to take a look at and do it! Your writing style has been surprised me. Thanks, quite great article. Thanks for reading this, Glory. If you are interested in reading more, just subscribe to our blogs!